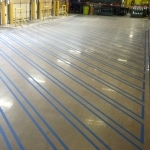 OSHA Floor striping provides additional function to your floor by communicating critical information throughout the facility. 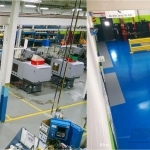 Commonly used in manufacturing, industrial, and warehouse settings, floor striping provides visual cues for changes in the work environment. MSC Floors will provide you with a custom floor striping layout in permanent or temporary solutions which are available in a variety of colors. The floor marking lines used to delineate aisles may be any color so long as they clearly define the area considered as aisle space. The lines may be composed of dots, squares, strip or be continuous, as long as they clearly define the aisle area. The recommended width of floor markings designating aisles varies from two inches to six inches. Therefore, any width of two inches or more is considered acceptable. The recommended width of aisles is a minimum of four feet, and at least three feet wider than the largest equipment that will be in the aisle. Where Should Floor Marking Be Used? Ask US, We can help! While the OSHA standard does not provide many specifics, it does say that “permanent aisles and passageways must be marked. What does this mean? Floor marking should be used anywhere there are two or more types of traffic, or in any location in which there are safety hazards. 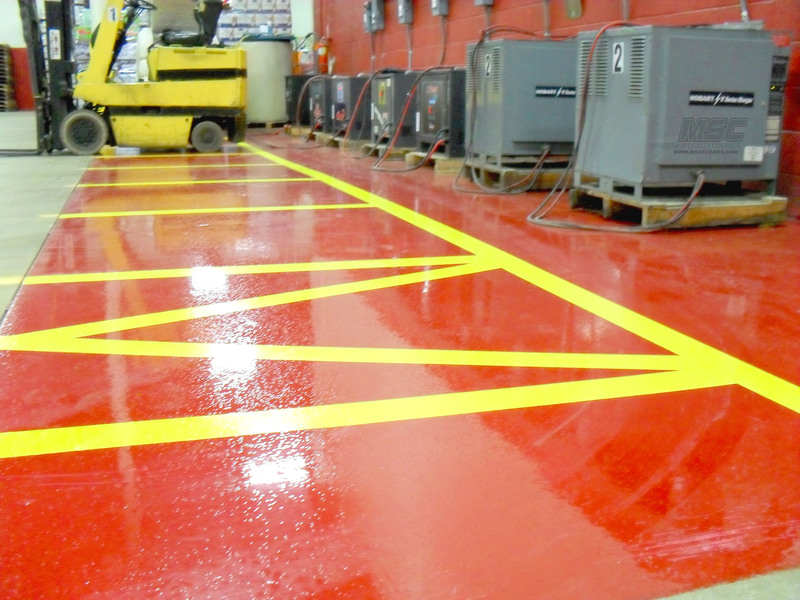 The purpose of floor marking is to identify safe areas and to separate people from hazards. 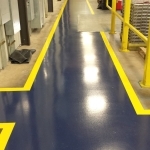 This means that floor marking should not only be used to mark existing aisles and passageways, it should be used to establish safe aisles and passageways that do not exist without the floor marking. 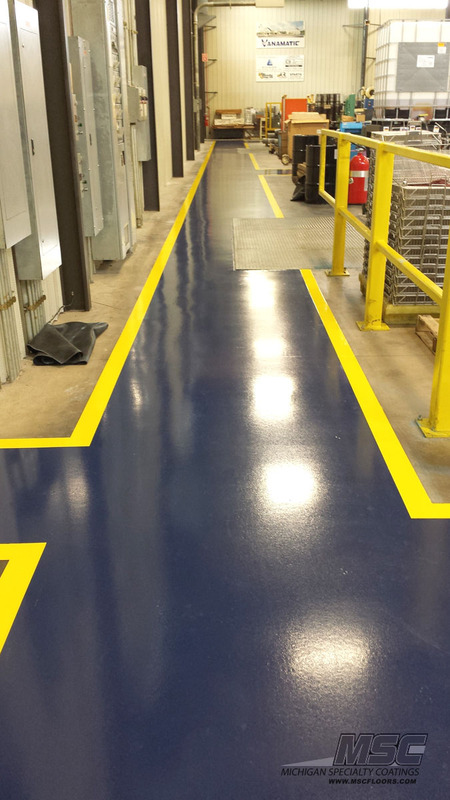 Use floor marking to establish safe pathways for workers to use as they walk through your facility. These aisles should be located so as to keep dangerous equipment out of reach, and to avoid, when possible, hazards such as high noise areas, as well as areas where other types of hazards exist. Whichever approach you use, OSHA will expect that employees to be trained to recognize and understand the meaning of the floor marking scheme being used. 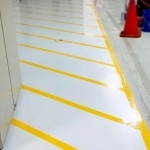 Whenever there is a mix of pedestrian and motorized traffic, such as fork lifts, floor marking tape should be used to identify aisles set aside for a specific type of traffic. In a warehouse in which powered industrial trucks (fork lifts) are moving around, and going in and out of rows of storage racks, pedestrian lanes should be clearly marked. All foot traffic must remain within the marked aisles, and forklifts may not enter those pathways except at designated crossing locations. 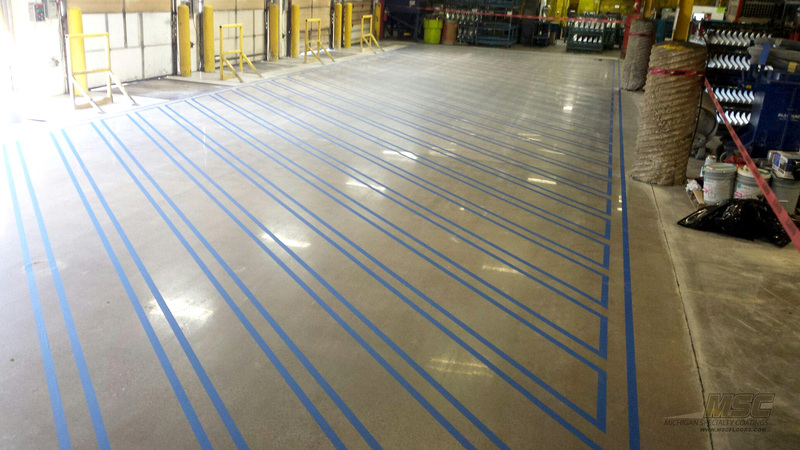 Floor marking also serves to help keep a facility organized and productive. 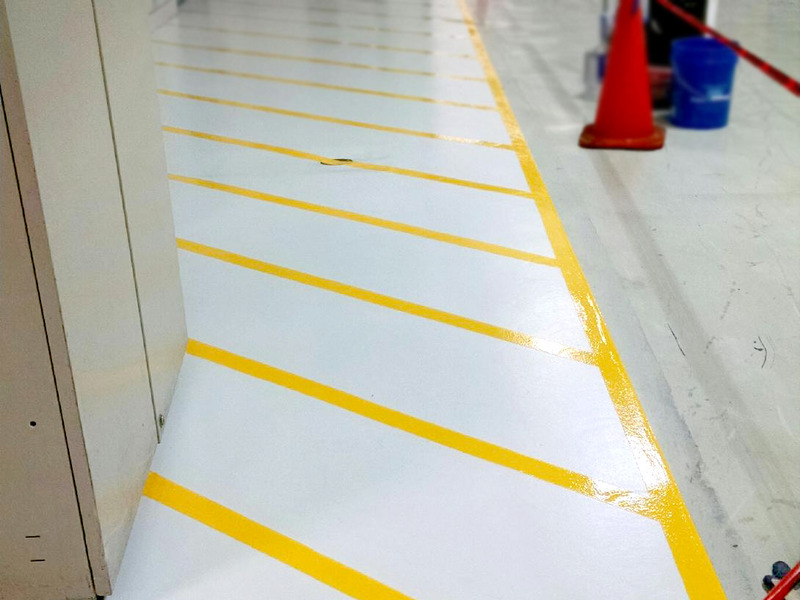 Since this use of floor marking is not related to safety, OSHA’s only concern is that floor marking used for other purposes, such as productivity and organization, not cause confusion and degrade safety. Floor marking may be used to designate storage areas for specific items or types of items. It may identify machine locations, temporary lay-down areas, assembly areas, or the locations of emergency equipment. MSC Floors can help! We can guide you to OSHA compliance! Contact us now!